Genetic testing may soon become a determining factor in treatment for peritoneal mesothelioma. The recent findings of a retrospective study found a major drop in overall survival and progression-free survival among patients with alterations in the CDKN2A and NF2 genes. The prognostic significance of the two genetic clues could change the way doctors determine a patient’s eligibility for major aggressive surgery. Modern Pathology published the study last month. Officials at the University of Pittsburgh Medical Center (UPMC) and Emory University School of Medicine in Atlanta supplied the research. The study involved 86 patients who were previously treated with cytoreductive surgery (CRS) and hyperthermic intraperitoneal chemoperfusion (HIPEC). Oncologists have used various staging systems in the past to identify appropriate surgical candidates, determine treatment regimens and predict prognosis. Those systems use the presence of metastases, extent of tumor burden and individual variables like lymph node involvement, histologic subtype and patient age as factors in determining stage. 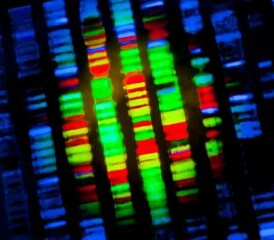 Adding genetic testing to the staging system would give patients a clearer picture of their future and help avoid major surgery unlikely to increase survival, while diminishing quality of life standards. Many peritoneal patients today are living three, four, five years and much more after aggressive surgery. These statistics exceed survival of those with pleural mesothelioma, but doctors are puzzled by the ones with similar characteristics who have died considerably sooner. Genetic testing might provide a more accurate prognosis. Peritoneal patients with normal CDKN2A and NF2 genes had a two year survival rate of 62 percent and a progression-free survival of 38 percent. Patients with mutations of CDKN2A and NF2 had a two-year survival rate of just 18 percent and progression-free survival of 9 percent. With mutations of just CDKN2A, the two-year survival was 34 percent and progression-free survival was 14 percent. With mutations of just NF2, the two-year survival was 33 percent and the progression-free survival was 18 percent. The survival rate for those with the gene mutations was worse prior to doctors using the CRS and HIPEC combination more than a decade ago. Past clinical trials showed marked improvement with the addition of the CRS/HIPEC routine, raising the median overall survival for peritoneal mesothelioma from 27 months to 46 months. Yet the procedure also is associated with significant mortality and morbidity rates, which may stem from genetic factors. Researchers believe alterations in the CDKN2A and NF2 genes indicate an aggressive subtype of mesothelioma, which would indicate the need for a radical switch in therapy. All 86 subjects in the study were treated from 2001 to 2014 at UPMC. The patients ranged from 19 to 83 years old. Only 20 percent had documented chemotherapy before the procedure. And the male-to-female ratio was 2.3 to 1. The median overall survival was 29 months for the entire group, but only 17 and 21 months for those with CDKN2A and NF2 alterations, respectively.